We all saw this coming. With the questionable state of Hideo Kojima’s employment with Konami, all of the projects the prolific game director is involved with are in a weird position. Most notable of which is Silent Hills. First of all, we know that P.T. 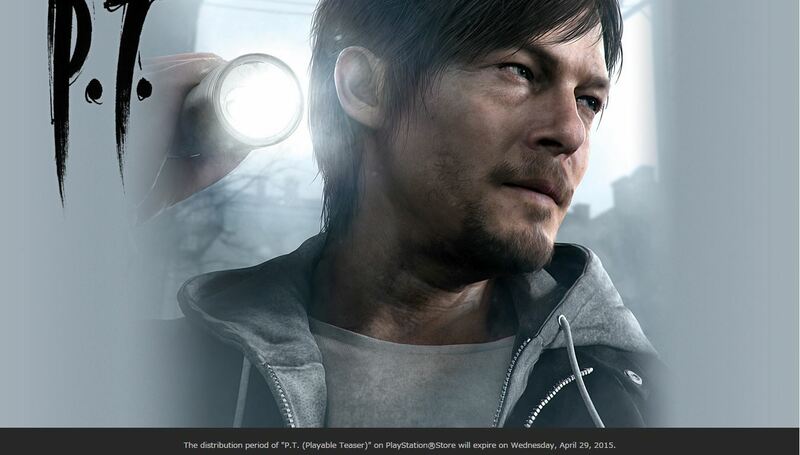 (the playable teaser of Silent Hills) will be taken off the Playstation Store on the 29th of April. Not much to go by so far, but taking down one of the most downloaded titles of last year that is a huge advertisement for your upcoming game isn’t really a good sign. The takedown notice for P.T. found on the game’s website. DON’T MISS: Leaked 'Pokemon Go' Manila Locations! So what we know about Silent Hills’s status so far is this: both Hideo Kojima and Guillermo Del Toro who were working as directors for the game have pulled out of the project. Norman Reedus, the template for the main character of the game, probably won’t have anything to do with the project either. Finally, all of this stems from Konami’s current relationship with Kojima. Therefore it seems like Silent Hills, as we know it, may be dead in the ground. The project might be salvaged by Konami later down the line but the dream game involving Kojima and Del Toro might never come to pass. Konami may have put themselves in a seriously precarious position because of their treatment of Hideo Kojima (as we mentioned earlier). Here’s hoping we get better news about the Silent Hills project in the future. It’s sad to see the title Silent Hill fans have been really looking forward to end up in a situation like this. UPDATE: Konami just confirmed our suspicions; in a statement released today, Konami revealed that development of Silent Hills has ceased. The company did mention that they will still continue to develop new Silent Hill games, but Silent Hills as we know it is effectively dead.